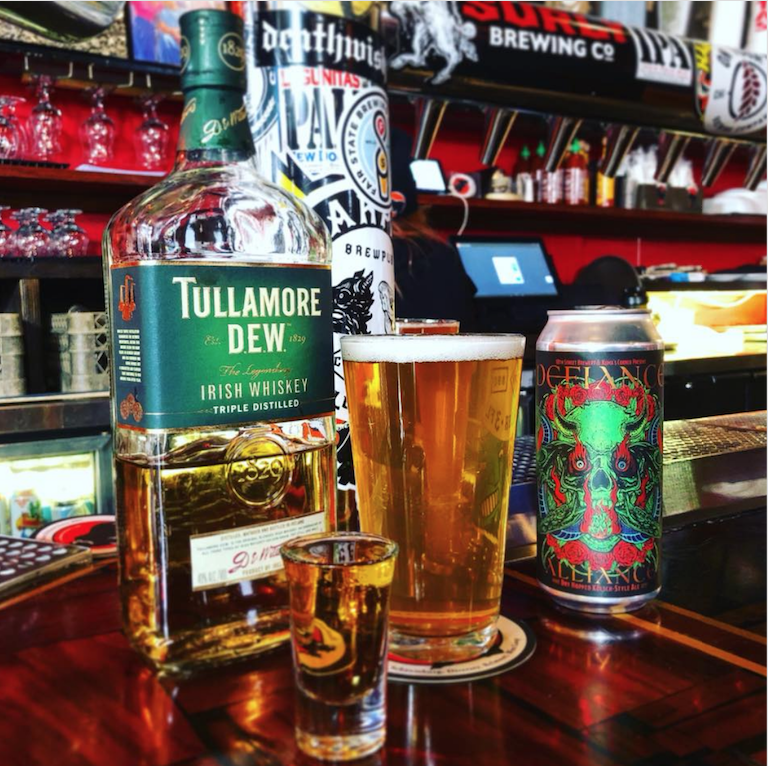 Kumas » 18th Street Beer + Shot of Tullamore Dew – March Special! 18th Street Beer + Shot of Tullamore Dew – March Special! For the month of March, all Chicago Kuma’s locations pair our collaboration with 18th Street Brewery, “Defiance Alliance”, a mosaic-hopped pale ale, with a shot of Tullamore Dew for ten bucks! Kuma’s Corner: 2900 W Belmont. Chicago. Kuma’s Corner West Loop: 852 W Fulton Market. Chicago.